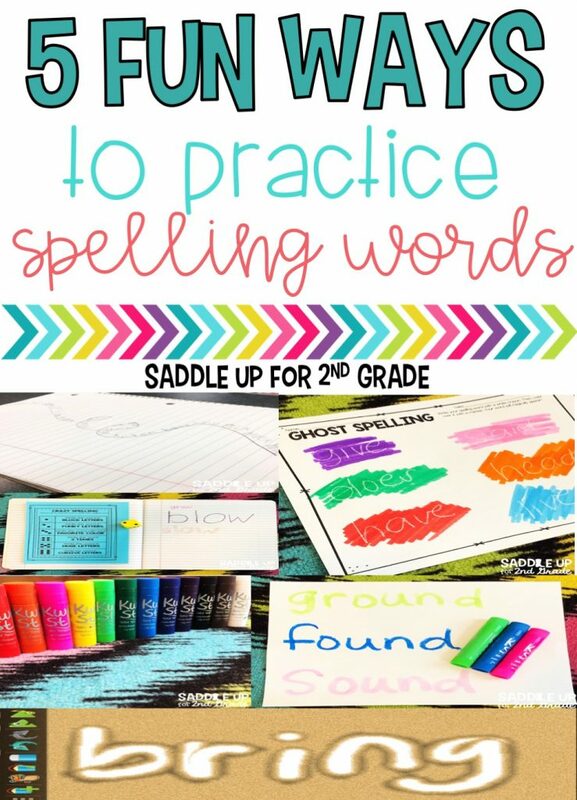 Are you looking for some fun activities that you can do with your students to practice spelling words? I’m always looking for ways to engage my students during word work. 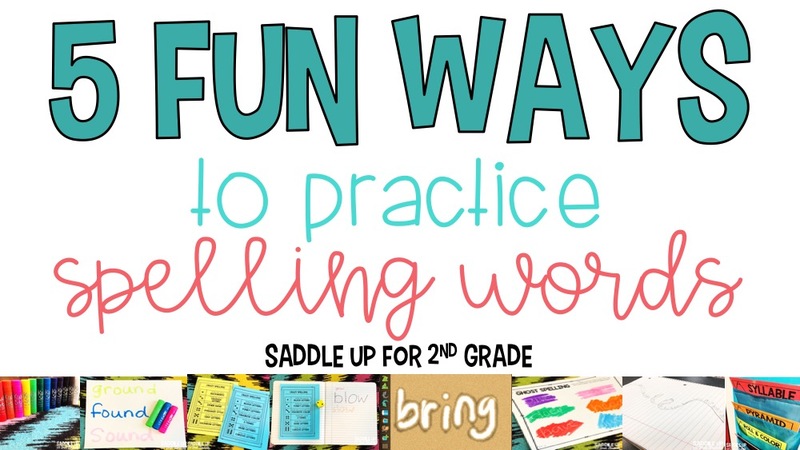 Today I’m going to share 5 fun activities that I know your students will enjoy. This activity is an oldie but a goodie. 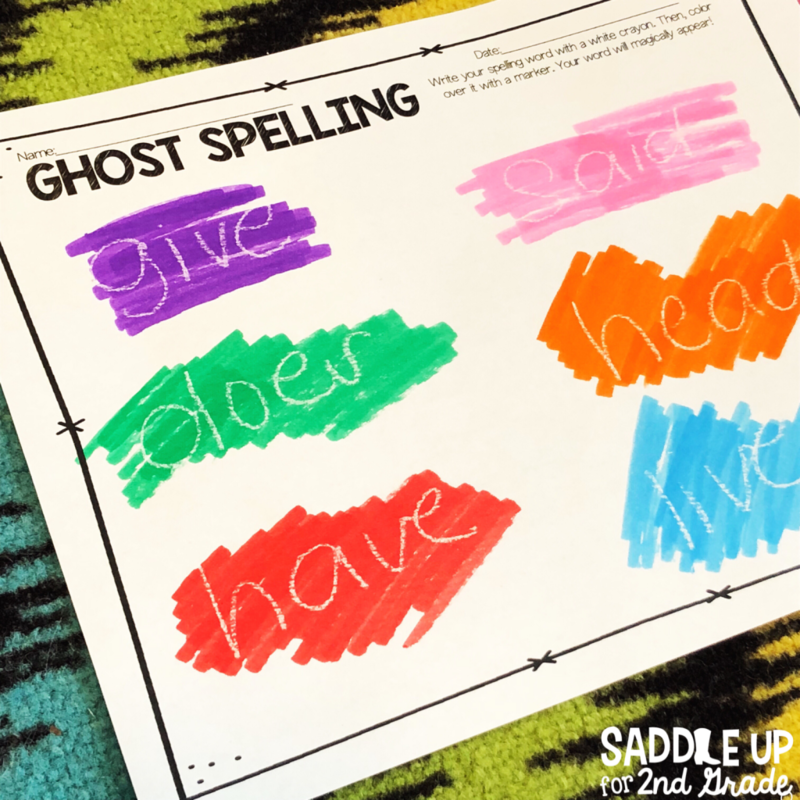 It’s called many different things but in my class we call it ghost spelling! It always introduce this activity around Halloween because it ads to the excitement. It’s all about that hook right?!? Spelling words magically appeared on my page! Let me tell ya’ll…they are always AMAZED!!! It’s so fun to see the look on their faces. 1. 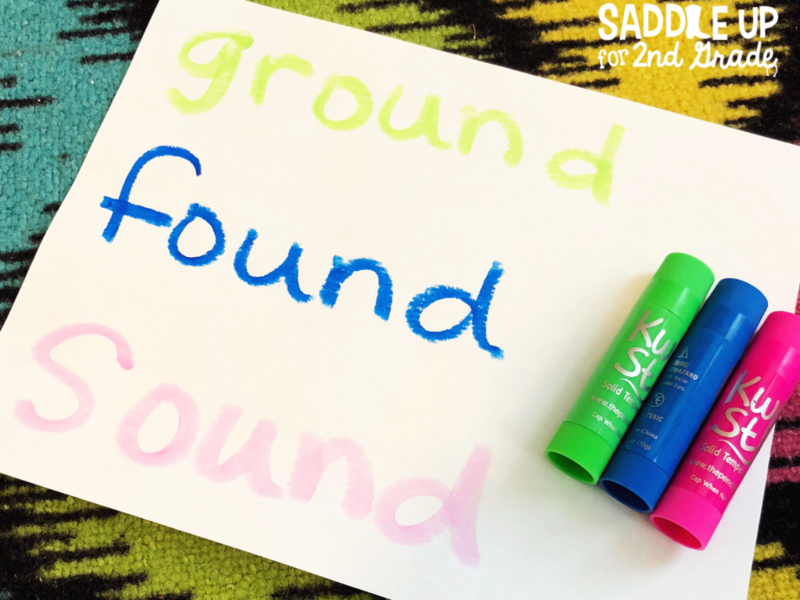 Write a spelling word with white crayon. 2. Using a marker or water color paint, go over the white crayon. 3. The word will magically appear! Grab the recording page here. 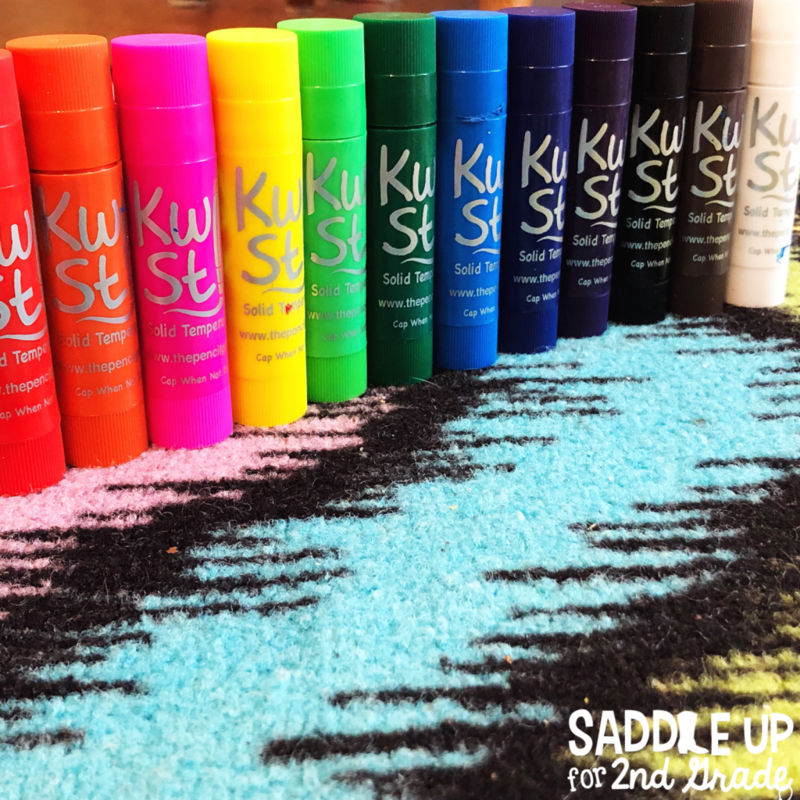 Up next we have Kwik Stix! 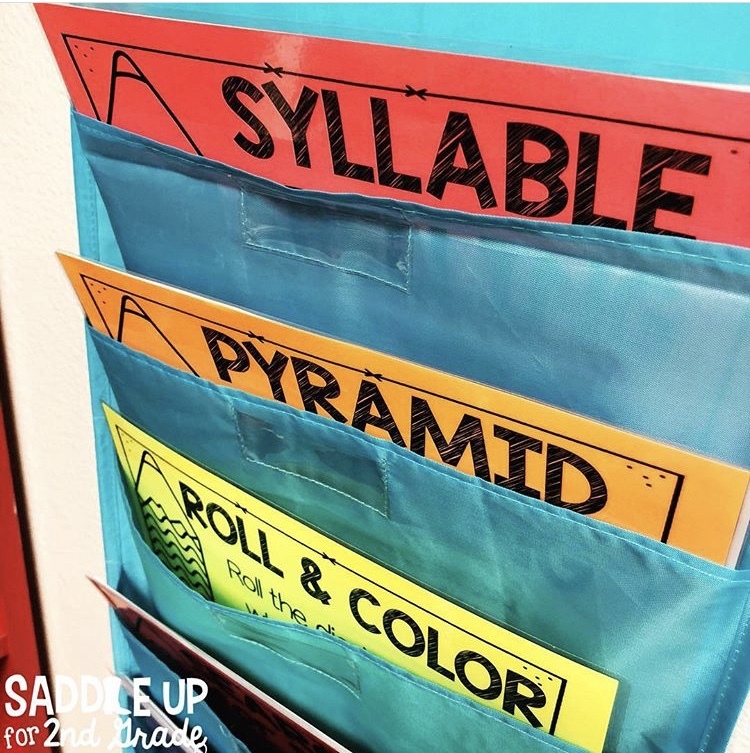 If you have no used these in your classroom, you are missing out! They are like glue sticks but with tempra paint. They dry almost instantly and are mess free. The kids love them! Grab them here. 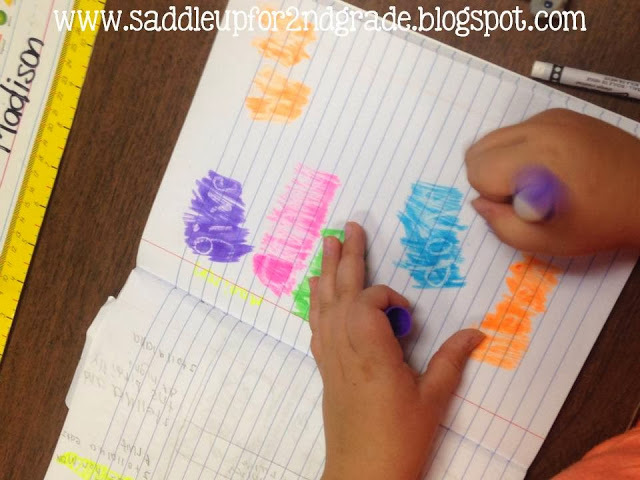 Give them some white construction paper and let them practice writing their words. It’s so much fun, even I like to do it! Crazy spelling always seems to be a hit too! Kids love choice especially when there are dice and fun writing utensils involved too! Here they roll a die. The number that they roll tells them what to do. I’ve always found that funky letters seem to be a hit. Who knows why? HA! You can grab this activity here. 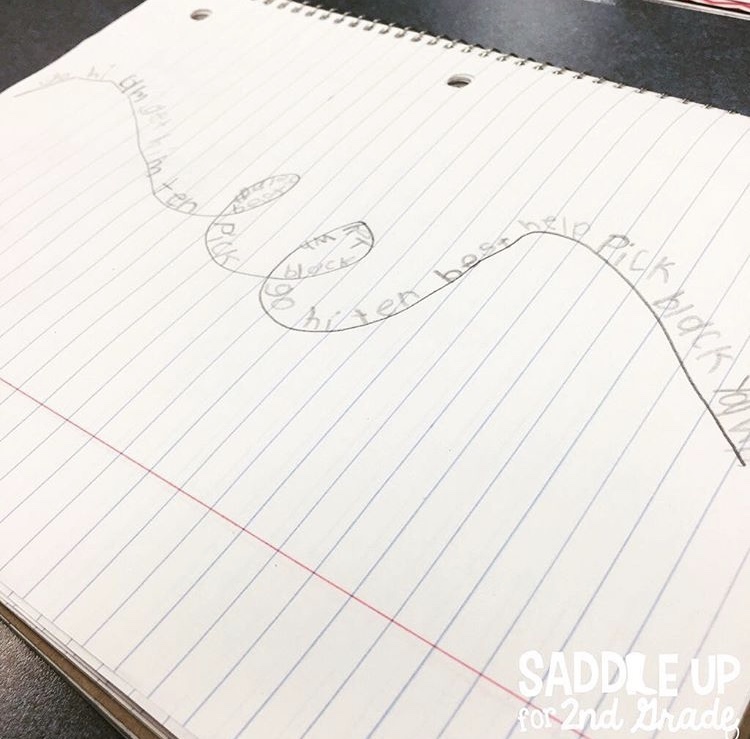 Squiggle spelling is another fun one. Using this pre-made template or on notebook paper, have them draw a long squiggly line with as many loops and curves as they want. 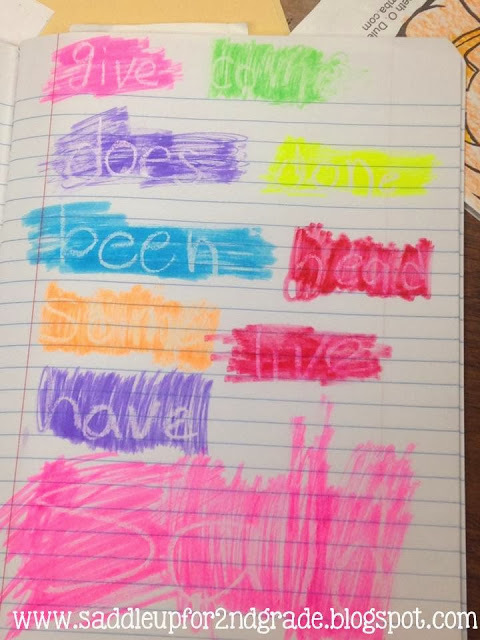 Then, they must write their spelling words along the line that they created. Fun right? This activity can also be found here. 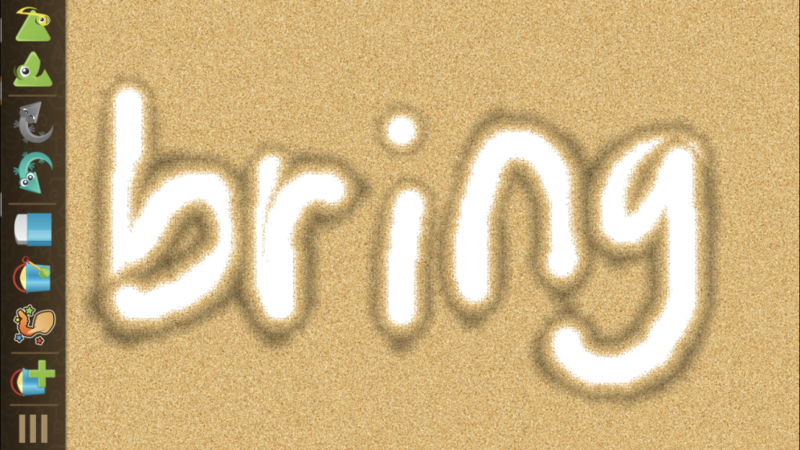 The Sand Animation Magic app (Free in the iTunes store) is a fun alternative to using real sand in your classroom. 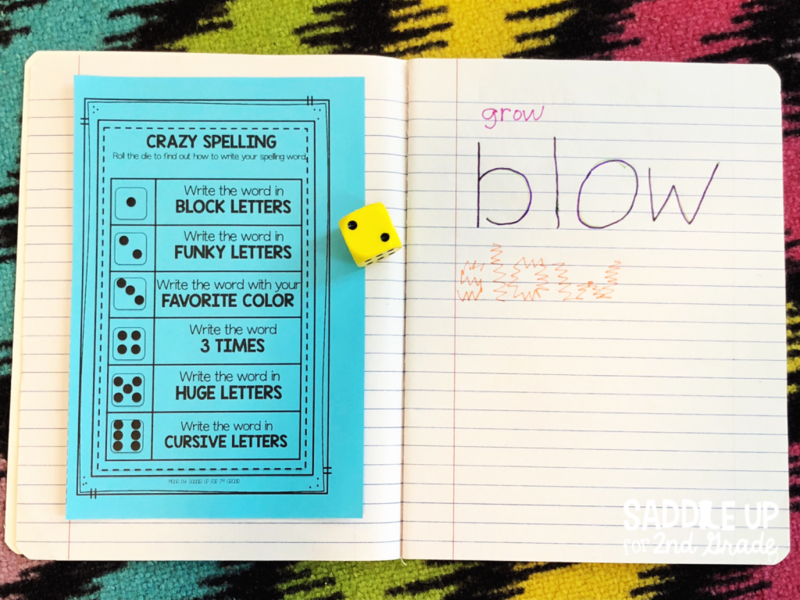 Kids can write their spelling words out. Then, there is a play button and it will play back the word they just wrote and they can practice spelling it out loud. 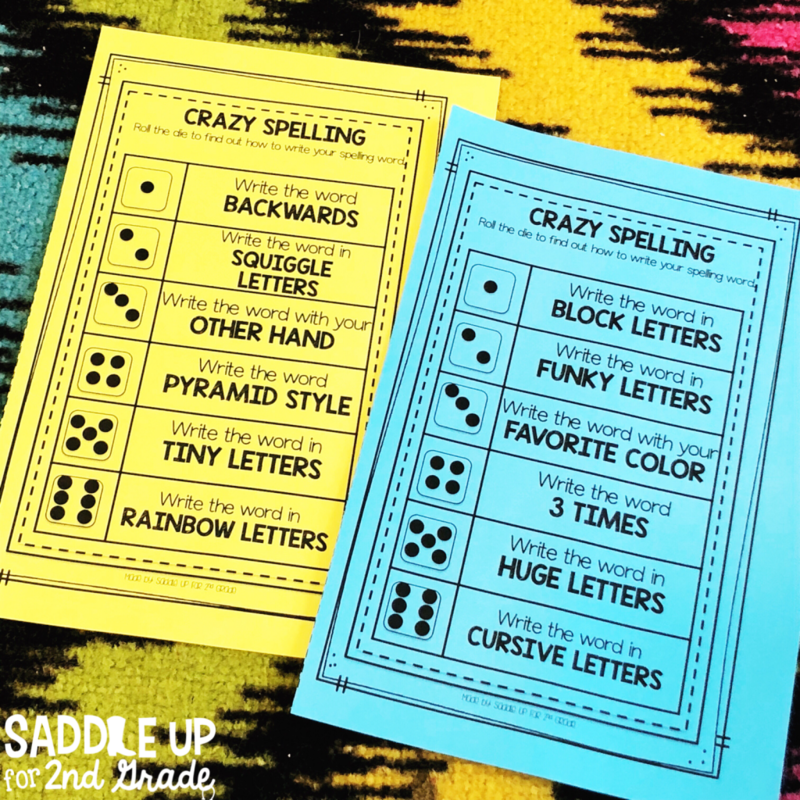 If you are looking for more spelling activities, check out my Spelling Word Work activities pack in my TPT store. All activities can be used with any word list. I keep mine in these hanging file pocket charts. They can access them anytime and are perfect for early finisher work.